Karma Originals is the biggest pre-roll distribution company in the NW. They came to KM Design after going the DIY route since their company inception. 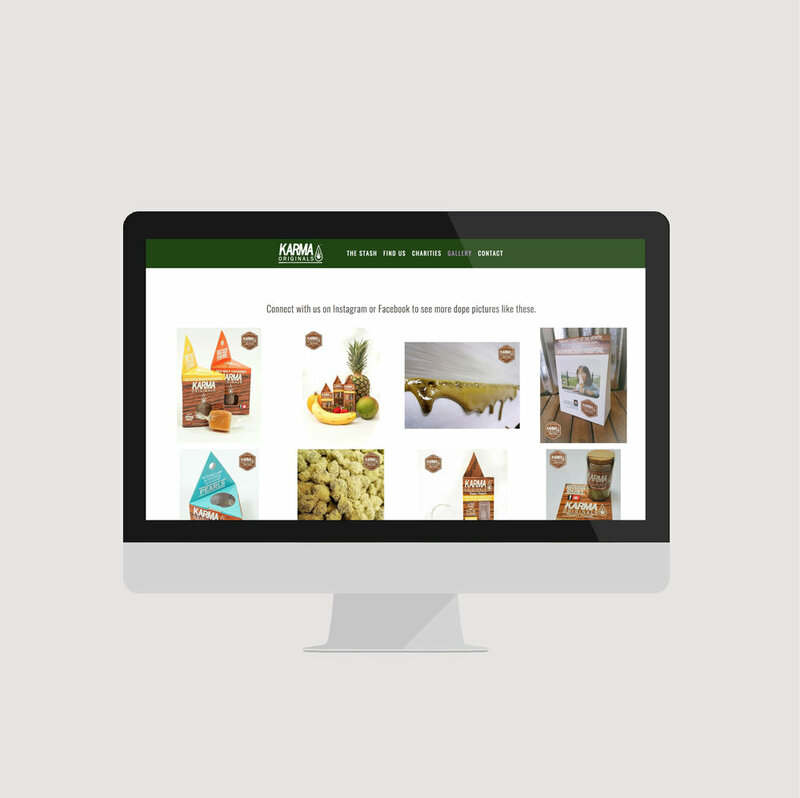 Karma needed to escape the GoDaddy template trap and a gorgeous site to show off their high quality cannabis products. The company had existing branding in place by means of a logo and packaging designs, but they did not have a brand guide set up to educate new and existing employees on the best practices for their brand designs. Tony and I worked together to get to the heart of the matter with the company through multiple branding exercises. We realized that there was an overlap with the quality goods he put out in the world, and the good he helped in the world, through charitable donations. The goal of Karma Originals is to make good cannabis products and do good for the community around them. The brand guides below will be used in-house or for hired on marketing/design agencies for all future designs. Using one single guide will help create brand awareness for the company. Over time, this will allow clients, partners or cannabis connoisseurs to recognize any piece of Karma Originals collateral, even without the logo representing it. Human psychology tells us that the more a person sees a person, company or branding, the more they grow to like it. Think about hearing a song over and over, the first time you hear it you may not think it's amazing, but after six or seven times, all of a sudden it's stuck in your head. This is why brand recognition is so important!